Edward Garnier has been the MP for Harborough since the general election in April 1992. Born in October 1952, he is married to Anna and they have a daughter and two sons. Edward Garnier was educated at Wellington College, Berkshire, Jesus College, Oxford, and the College of Law, London. He was called to the Bar in 1976 and practises as a defamation and media law specialist from chambers at 1 Brick Court in the Temple, London. He became a Queen’s Counsel in 1995, a Crown Court Recorder in 1998 and a Bencher of the Middle Temple in 2001. For the two years before the May 2010 general election Edward was also a consultant to the leading insurance law firm, Greenwoods, who act for some of Britain’s largest insurance companies both at home and abroad. He was a Visiting Parliamentary Fellow at St Antony’s college, Oxford 1996-97. From 1992 to 1994 Edward Garnier was a member of the House of Commons Home Affairs Select Committee. From then until the 1997 general election he worked as a Parliamentary Private Secretary at the Foreign and Commonwealth Office, to the Attorney General and Solicitor General, and to the Chancellor of the Duchy of Lancaster. 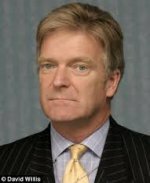 Following the 1997 election when the Conservative Party left office William Hague appointed Edward Garnier Shadow Minister, Lord Chancellor’s Department, until 1999 when he became Shadow Attorney General. When Iain Duncan Smith became Leader of the Opposition in September 2001 Edward Garnier stepped down from the Conservative front bench. In 2005 he was appointed Shadow Home Affairs Minister. In 2007 he was appointed Shadow Minister for Justice. In September 2009 he was re-appointed Shadow Attorney General. From May 2010 to September 2012 he was HM Solicitor General. He was awarded a knighthood in September 2012.